Newsletters have long been a popular way for nonprofits to regularly communicate with the donors and volunteers that support them. But simply pulling together a compilation of all of your recent news and announcements likely won’t be enough to create a truly marketable newsletter. With the right approach, you can create a newsletter that generates excitement from your reader base and has them looking forward to the next issue. 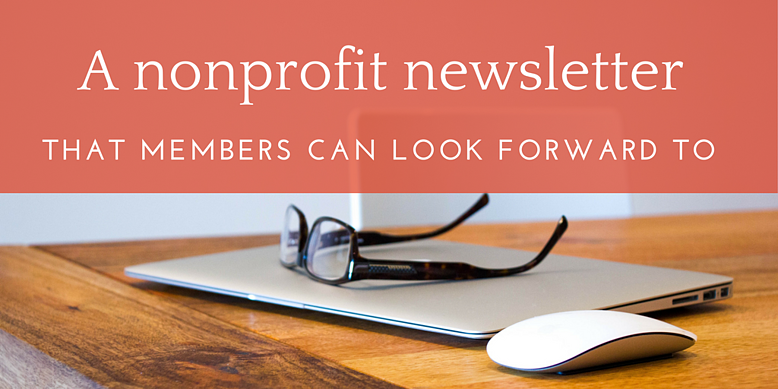 Here are a few tips to help you produce a winning newsletter for your nonprofit. Even the best newsletter will be wasted if recipients never read it. Make sure your subject line compels your audience to open the email. Instead of simply labeling the email “Fall 2017 Newsletter,” tease your most interesting story. You can even use personalization techniques to customize your subject lines for different subsets of your audience. For instance, separate subject lines could be used for donors and volunteers to maximize clicks. A well-designed newsletter will get much better results than one that isn’t visually pleasing. Incorporate photos and color to break up the lines of text and use a font size and style that’s easy to read. If you don’t already have a design template, you can use one of the many templates available online. Many email marketing services provide a large selection of templates as a benefit of membership. The most compelling story your nonprofit can tell is your own. What are your own employees and volunteers doing on a daily basis to support your cause? How have your donations impacted the community you serve? The more you can highlight the effect of the work your organization does, the more likely you’ll be to have those supporters showing up the next time you send out a call for donations. In addition to highlighting the work your organization does, you should also give space in each issue to the donors and volunteers who bring it all together. Set up a spotlight feature in each issue that lets readers get to know someone who supports your organization. Those who are featured will likely share the newsletter with others, broadening your marketing efforts. There is no one size-fits-all when it comes to email frequency. Your audience may have a different tolerance than another organization’s customer base. It’s important to put measures in place to test your response rates and adjust your frequencies accordingly. If you choose this method, avoid committing to a specific frequency when you tell subscribers about your newsletter. You may promise a quarterly newsletter, only to find your audience responds more favorably to monthly mailings. Newsletters can be a great way to remind your supporters of the work your organization does throughout the year. With the right approach, you can turn your newsletter from an informative resource to a marketing tool that gets your donors and volunteers excited about what you’re doing. Once you’ve designed a winning newsletter and filled it with engaging content, measure results so that you can tweak your approach for future issues.